Food First is a “people’s think tank” dedicated to ending the injustices that cause hunger and helping communities to take back control of their food systems. We advance our mission through three interrelated work areas: research, education and action. These work areas are designed to promote informed citizen engagement with the institutions and policies that control our food and to integrate local, national and global efforts. Our work both informs and amplifies the voices of social movements fighting for food justice and food sovereignty. The goal of Food First’s research work is to generate information and analysis for food sovereignty—locally and globally. We also carry out Participatory Action Research with community organizations to help them generate their own information and analyses. The combination of our applied and participatory research produces real-time information and insights. Our research brings the perspective of community-based struggles to broader development debates. The core of Food First’s long-time work, our research and analysis is disseminated through a variety of research publications—including backgrounders, policy briefs, development reports and books—which help popular audiences to understand the complex dynamics of our global food system. In light of the new wave of “land grabs” affecting marginalized communities, in 2012 Food First convened a meeting of activists and researchers to generate collective analysis of land conflicts throughout the Americas, both rural and urban, North and South. 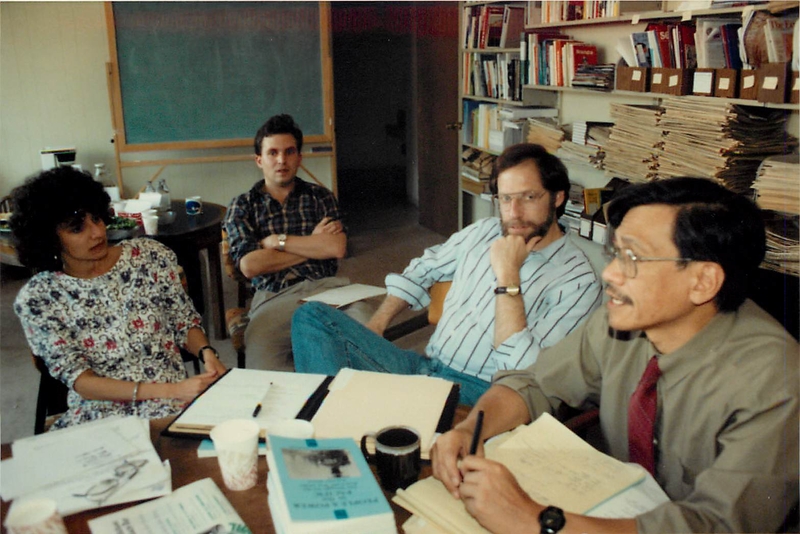 The group established itself as the Land & Sovereignty in the Americas Activist-Researcher Collective, which brings together scholars and activists embedded in social movements for the right to land and generates resources for public awareness. The ability to convey complex ideas in accessible language has been a hallmark of Food First’s publications since the organization was founded in 1975. We believe that collective knowledge sharing and production is vital to building effective movements for social change. Our researchers have also been widely published in peer-reviewed journals and other academic publications, which lends credibility to our work and helps us influence policy debates. Food First publications are widely used in university courses and by community groups around the world. Food First has published over 60 books, with translations in 22 languages worldwide. In addition, Executive Director Eric Holt-Giménez and Food First researchers teach courses and seminars, give talks, and participate in public discussions everywhere from university classrooms and international conferences to farms and community centers. 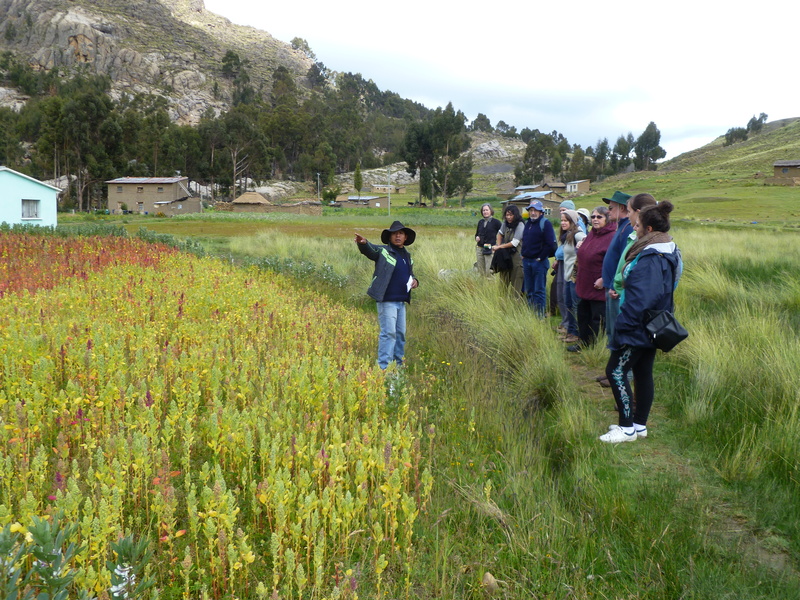 Our educational travel program Food Sovereignty Tours invites members of the general public to travel with our experts to explore the world’s food cultures and engage with the global movement for food sovereignty. With several destinations—including Cuba, Bolivia, Italy, Oaxaca, the Basque Country, Korea and the San Francisco Bay Area—and a growing scholarship program for students, farmers and activists, Food Sovereignty Tours has become Food First’s most important educational program. Food First is not just a “think tank.” We generate research and education for action. And we also support community-based projects around the world that are creating real change for real people. Through our Farmer-led Pollinator Restoration project, we work with peasant farmers in central Mexico to spread knowledge about sustainable agriculture through community radio programs and farmer-to-farmer networks. In West Africa, Food First supports the We are the Solution Campaign, led by small farmers and women to spread agroecological knowledge and advocate for policies that support family farming—not large-scale industrial agriculture. We are also raising funds to help small farmers in war-torn Mali rebuild their local food systems through our Seeds for Gao, Mali campaign. 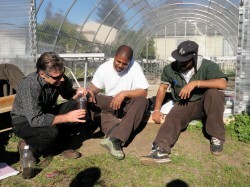 Locally, Food First incubated the Oakland Food Policy Council, an innovative council of farmers, restaurateurs, policymakers and engaged citizens working together to build an equitable and sustainable food system where we live, in Oakland, California. 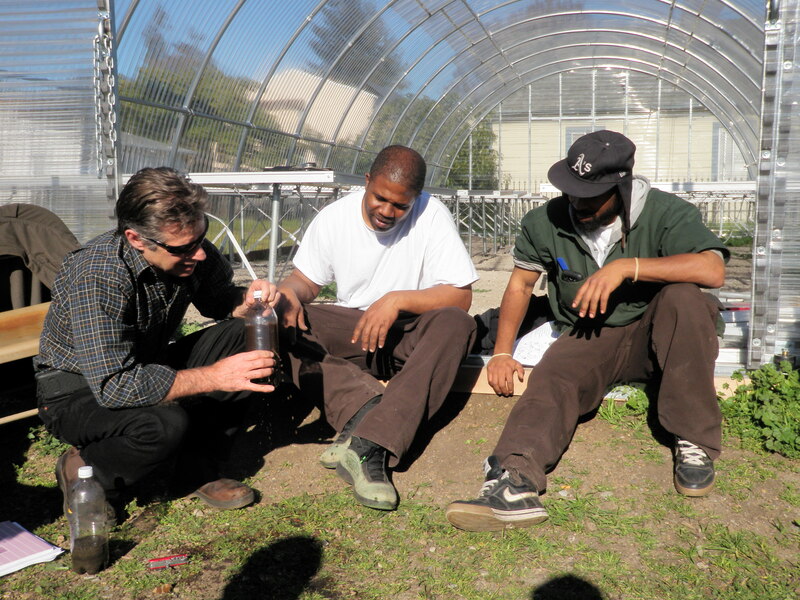 Food First currently supports urban farmers and gardeners in the San Francisco East Bay region through our Urban Farmer Field Schools project, which helps build local agroecological knowledge for stronger community-based food systems.